HomeBlogClick boardsQi Receiver click - Let the Qi force be with you! When it comes to Qi wireless charging, you’ll need two things - a charger that transmits power, and a receiver that collects the power and charges the targeted device. Qi Receiver click is based on the P9025AC 5W Qi wireless power receiver integrated circuit, with the advanced Foreign Object Detection (FOD) feature. The click is designed to run on either 3.3V or 5V. It communicates with the targeted microcontroller over I2C interface. To see a practical example of the click usage check our newest YouTube clip from the series click per minute. 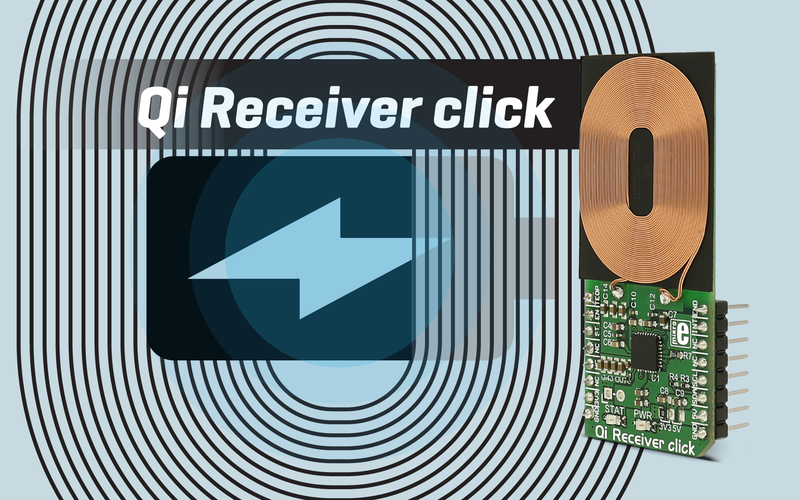 For more information about the Qi Receiver click, visit the product page.